and friends. He was also a long-time member of Calvary Baptist Church. He was preceded in death by: his parents; his son, Donnie; and his sister and brother-in-law, Essye and David Wyman. He is survived by: his wife of 69 years, Miriam; his children, Brenda (Larry) Gillman, Sandra Neal, and Doug Davis; five grandchildren: Tony (Pika) White, Donna White, Leslie (Pete) Zielinski, Sandra (Tony) Kuhl, and Gordon Gillman; five great-grandchildren: Davis and Ethan White, Tony and Taylor Kuhl, and Elizabeth Gillman; one great-great granddaughter, Brelynn Kuhl; two sisters-in law, Gwen (Burt) Riddles and Gwendolyn Enfinger; one brother-in-law, Wilton (Nola) Enfinger; and many nieces and nephews. MANY thanks to Pat Noles, who was his caregiver for 3 ½ years. Trahan Family Funeral Home of Milton is charge of arrangements. Visitation will be held from 10:00 am until funeral services begin at 11:00 am at Calvary Baptist Church in Allentown on Tuesday, March 29, 2016 with Brother LaDon Hall, assisted by Brother Dustin Lambert, officiating. Burial will follow at the church cemetery. In lieu of flowers, donations may be made to Florida Baptist Children’s Homes, 1000 Chemstrand Rd. Cantonment, FL 32533. Mary Elizabeth “Aunt Mary” Howell Dawson, 72, left this world on March 7, 2016 to be with her lord Jesus Christ. She was born in Chumuckla, FL. She attended Chumuckla school where she earned a nursing scholarship. She then served 36 years at Chemstrand/Monsanto. She also ran Aunt Mary’s Country Store where she loved keeping her family and friends fed. She definitely lived her life for her children and grandchildren. Mary was preceded in death by her parents, Harry and Margaret Howell; brother, Bobby “George” Howell; and the father of her children, Gerald “Doc” Dawson. 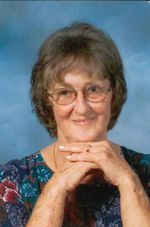 Mary leaves behind a daughter, Stephanie (Mike) McClendon; son, Darin (Lori) Dawson; ex-daughter-in-law, Tabatha Salter Mayo; 5 grandsons: Troy Dawson, Brett Williams, Valente’ McDougal, Tres’ Dawson, and Brendan McClendon; great-granddaughters, Berkleigh McClendon and Tianna Turner; 2 sisters, Brenda (Tommy) Bozeman and Ann (Roger) Cobb; brother, Samuel (Carol) Howell and many nieces and nephews. Pallbearers will be Brett Williams, Tres’ Dawson, Nick Waters, Christian Howell, Gaige Wilkinson, Brandon Wilkinson, Wyatt Kozell and Kris Noa. Honorary pallbearers will be Sam Howell, Steve Bozeman, Marcus Brannon, David Kelley, Jerry Cassady, Tommy Smith, Vic Campbell, Steve Oreskovich, Paul Wilkinson, Jeff Pinyon, Tim Smith and Brian Parker. The family wishes to thank family, friends, and Emerald Coast Hospice for their care and concern during this difficult time. Funeral service will be held at 2:00 p.m. on Saturday, March 12th at Chumuckla Community Church (Elizabeth Chapel) with Wayne Stevens and Tom Sharron officiating. 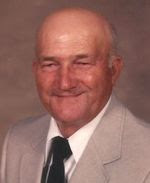 Visitation will be held prior to the service, at 1:00 p.m. Burial will follow at Elizabeth Chapel Cemetery.